Welcome to Symmetry! With a 4-to-1 stretch hose and onboard tools, Symmetry cleans carpet to ceiling and almost everything in between. 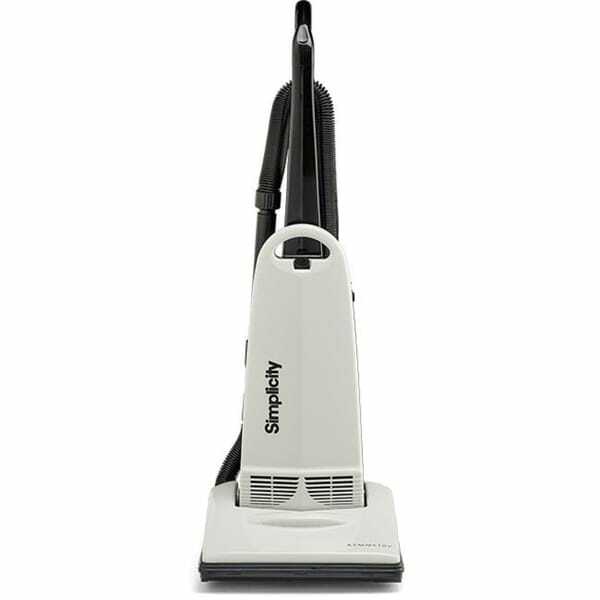 The Symmetry Entry has the power and performance you expect from a Simplicity vacuum and comes with a great price tag. It's best on carpet but can also clean bare floors. Gold Seal of Approval - The Carpet and Rug Institute gave this vacuum a Gold Seal of Approval for its ability to remove soil, contain dust and retain carpet quality. Onboard Tools - Like a cleaning ninja, whip out a crevice tool here, an upholstery tool there and twirl your dusting brush to destroy your enemy - dirt! Dimensions 14.5 In. X 12.5 In. X 42.5 In.